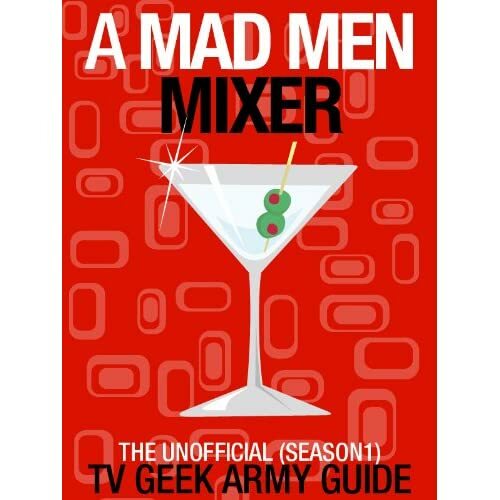 Posted on Monday, July 19, 2010, by Eric - TV Geek Army "Revered Leader"
Sometime yesterday I dialed up The New York Times on my Blackberry and noticed a story called Back to Work for 'Mad Men.' I figured that it would have the typical background on where the series has been, where it might be headed, and some quotes from cast and crew. Because series creator and executive producer Matthew Wiener is famously tight lipped about spoilers for upcoming seasons (trickling all the way down to every member of the Mad Men team), I had no expectation that I would learn much that's new about the new season, which is now eight days away (season premiere: Sunday July 25th, 10PM, AMC). Man, was I wrong. So fair warning that there are big time spoilers just below. At first I took this to be an absolute bombshell. The "time jump" between seasons is typically one of the most closely held secrets on the show. Season Three spanned the time period from mid-1963 through JFK's assassination and its aftermath in the late fall/early winter of that year. So while "a year later" strongly implies that the new season opens in late 1964, it could simply mean "at some point after New Year's Day, 1964." While I've argued that I'd like new season to start as close to where we left off at the end of "Shut the Door. Have a Seat." as possible, it's exciting at the same time to think about our cast of characters "suddenly" thrust into the cusp of 1965 – half a decade removed from the original setting of the show – and all of the chaotic change in the wind when the sixties become the sixties. Simply knowing that Betty (January Jones) is now married to Henry Francis (Christopher Stanley) tells us a great deal about the new season's landscape. That is, she didn't run back to Don, and she didn't get a divorce to strike out on her own somehow. It's also further confirmation that she'll continue to maintain a role on the show, which I think is a very good thing. Finally, learning of a "scornful mother-in-law" in the cards for Betty means that her romantic fantasy about a new life with Rockefeller's political aide may not be all it's cracked up to be. A separated or divorced Don Draper (Jon Hamm) opens up big questions about what this means for his romantic life and how it relates to the overall narrative. His "type" when it comes to mistresses have been assertive, opinioned, and intelligent modern women. I've also noticed that Don's arc has seen him have to work harder to get the girl (early on they typically threw themselves at him!) over time. Now we find him getting the stop sign from blind dates in the cab at the end of the night, followed by Don heading back to a lonely apartment in the Village. So it would seem this arc continues, with the Don we once saw as a Master of the Universe in all things professional and personal slowly eroding. 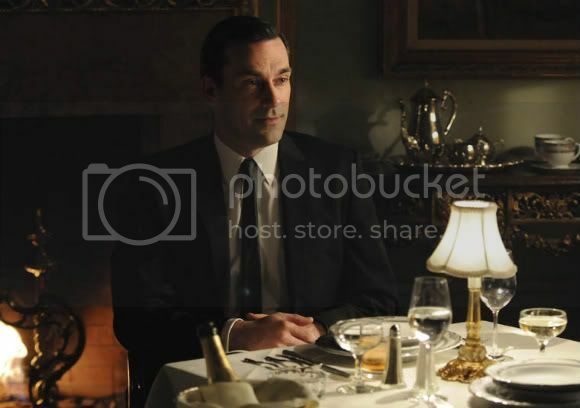 Salon.com's Heather Havrilesky also covers the Mad Men Season Four premiere and is a little spoil-y but a bit more subtle and shaded about giving away plot details than the NYT.